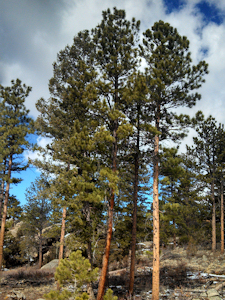 Photo: A ponderosa pine stand at Ben Delatour Scout Ranch after treatment. At Golden West Pine Mills, we practice our commitment to sustainability every day. Our customers realize and expect that the raw materials harvested and processed into wood products must come from responsibly managed forests. By adhering to Colorado's Best Management Practices while also following respecting the forest and our customers' wishes, we are able to help ensure forest resources will be available in perpetuity.